We adults? Not so much. That’s because three things happen as we grow older. The expression of sirtuins (SIRT) – often called our “youth” or “longevity” genes – decline. Telomeres, the segments of DNA at the end of your chromosomes that act as an aging time clock, tend to grow shorter. Your body’s energy factories (mitochondria) become damaged, mutate and start to malfunction. When any single one of these events occur, it’s not unusual to start feeling older than your years. Each of them is related to health issues like heart disease, metabolic disorders, decreased strength, stroke, memory problems and early death. The problem is, all three of them are intricately linked. When dysfunction in any one of them strikes, it’s likely the others are malfunctioning too. But I have a little secret. It can turn back the hands of time. And while it won’t make you feel like a kid again, it can help you to look and feel much younger and whole lot healthier than other folks your age. 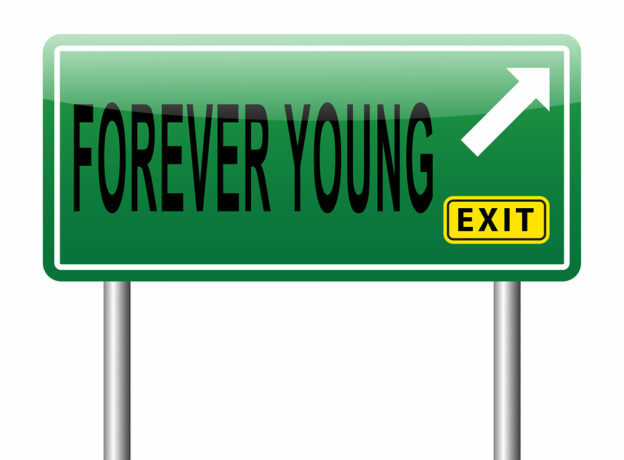 It’s the next best thing to the fountain of youth! Keeping up with my grandson is very important to me. So it’s a good thing that I’m a physician. I have a thorough understanding of how the human body functions… and exactly what is required to maintain youthful energy, vitality and vigor throughout a long and healthy lifetime. And there is nothing that could make me happier than to share this little-known wisdom with you today. If you are anything like me, you are constantly racing to keep up with the activities of you children and grandkids. So let’s put in all on the table. I’ll keep it as simple as possible, but there may be some new terms here… ones you haven’t heard before. The first is nicotinamide adenine dinucleotide (NAD). This is the coenzyme that drives sirtuin activity. As with all other bodily functions, the production of NAD naturally declines with age. And since it is the main driver of sirtuin function, any decline in NAD results in a reduced sirtuin expression. This is a big problem, particularly when it comes to SIRT1. This gene is the “master regulator” of mitochondrial replication. When it’s activated, it helps your body produce more of those energy factories and keep your cells powered up to youthful levels. But if you don’t have enough NAD, SIRT1 loses the ability to do its job. It can no longer support healthy mitochondrial function. But that isn’t the end of this story. Shorter telomeres and frayed chromosome ends cause even more damage to your mitochondria. So it becomes a pretty vicious cycle. Thank goodness there is a very simple way to head this dangerous chain of events off at the pass! All you have to do is boost your levels of the NAD molecule. There are two ways to do this, and both of them work extremely well. The first is to cut your calories. This is called a calorie restriction diet, and basically means cutting your calories by at least 20%. It works great to kick NAD and SIRT1 into action. But if cutting calories sounds scary, adopting a simple meal-timing strategy can offer similar results. Just designate a window of six to eight hours each day to enjoy regular, healthy meals. Then fast for the remaining 16 to 18 hours. At the same time, certain supplements act as precursors to NAD. Your body cannot produce NAD molecules without them. Unless it’s already in your B complex add 125 to 500 mg of vitamin B3. Look for one that contains niacin, niacinamide or nicotinamide (ribose or monocleotide). You can start at 50 to100 mg daily. Then, add an additional 100 mg each week until you reach 500 mg.
At least 50 mg of CoQ10 for extra mitochondrial support…100 mg if you’re taking a statin drug. These are supplements I take every day. And I don’t only take them for my health and longevity. I take them so that I know, for sure, that the next time I see my grandson I’ll be right in the center of every Lego he builds and every laugh, tumble and stunt he pulls… and enjoying every single moment of it. Massudi H, et al. 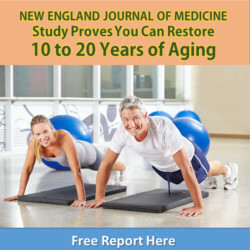 Age-associated changes in oxidative stress and NAD+ metabolism in human tissue. PLoS One. 2012;7(7):e42357. Cantó C, et al. Targeting SIRT1 to improve metabolism: all you need is NAD+? Pharmacol Rev. 2012 Jan; 64(1): 166–187. Imai S, et al. It takes two to tango: NAD+ and sirtuins in aging/longevity control. NPJ Aging and Mechanisms of Disease. 2016 Aug; no.16017. Koentges C, et al. SIRT3 in Cardiac Physiology and Disease. Front Cardiovasc Med. 2016; 3: 38. Palacios JA, et al. SIRT1 contributes to telomere maintenance and augments global homologous recombination. J Cell Biol. 2010 Dec 27;191(7):1299-313. Passos JF, et al. DNA damage in telomeres and mitochondria during cellular senescence: is there a connection? Nucleic Acids Res. 2007;35(22):7505-13. Zendedel E, et al. Impact of curcumin on sirtuins: A review. J Cell Biochem. 2018 Dec;119(12):10291-10300.